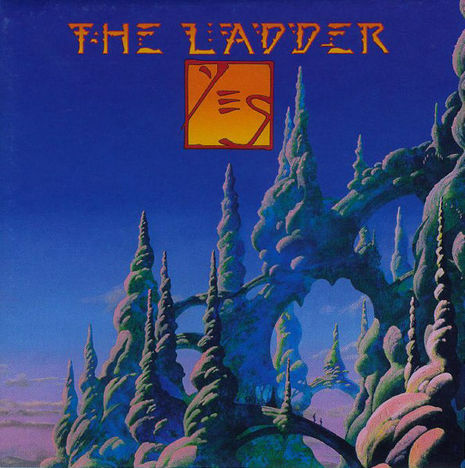 The Ladder is the nineteenth album by progressive rock band Yes and was released in 1999. The follow-up to 1997's tepidly-received Open Your Eyes, The Ladder was seen as a conscious return to the classic Yes sound, while maintaining a contemporary edge. It is the first Yes album to feature Igor Khoroshev as an official member. Following guitarist/keyboardist Billy Sherwood's guidance of the last project, Yes decided to bring in an outside producer, Bruce Fairbairn, in order to give the music the benefit of objective ears. By the time the band had decamped to Vancouver, Canada to record The Ladder, Igor Khoroshev had become the group's official keyboardist, with Sherwood relegated to guitar duties along with Steve Howe. Although the sessions went off successfully, with all concerned very pleased with the end results, the project ended tragically with Fairbairn's surprising and premature death in May 1999. Fairbairn died, according to Chris Squire, just before the completion of final vocals and mixing on The Ladder. Yes subsequently dedicated the album to their late producer upon its September release. Concurrently with the release of the album, Yes licensed the use of "Homeworld (The Ladder)" with the Sierra Studios PC game "Homeworld", of which a digital preview was included with The Ladder. The re-issue included in the 2006 box set Essentially Yes also includes this preview. The track "Homeworld (The Ladder)" was played during the game's credits. Hyped as a "return to form", The Ladder generally pleased most of its listeners and longtime Yes fans, performing slightly better than Open Your Eyes by reaching #36 in the UK and #99 in the US. The track "Lightning Strikes" borrows the opening flute solo from The Kinks' song "Phenomenal Cat" from the album The Kinks Are the Village Green Preservation Society.